I may be in need of a good cheap optispark, does anyone know where to get a good one that is reliable? Be interesting to see what replies this gets.... at this point seems like it's difficult to find an “expensive” reliable Opti. Well, I'm not sure about the "good" part yet, but I just put this new Cardone Opti in my 93'. Fired right up the few times I have started it, havent driven the car due to some other issues. I'll have to report back later on the longevity portion. I read too many bad reviews for the MSD unit and didnt really research much on the Accel version, but I doubt its really any better. The best bet is a reman GM unit, but they are pricey and I question that as well. 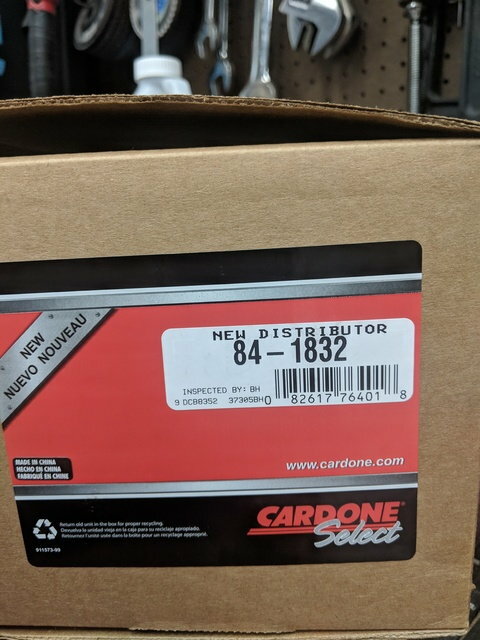 For 100 dollars the cardone unit is on the way, i ordered it because it was the only 1 that i could afford, will be installing this weekend. Ill let you all know the results. Wish me luck thanks. I just had a new Opti installed on my ‘94 RoadMaster. It’s a new “old stock” GM not a rebuilt. It was on a back shelf at a smaller dealer. Not exactly cheap but they were glad to get rid of it at a wholesale price. It seems to be working correctly. I also had new plugs and wires installed. 115 k on the car. Thx for sharing. I have a new Cardone sitting on the shelf to go in once I'm ready. I want to seal mine up first. But its nice to read of others using this opti. Please give us updates if you can. Will be installing the opti tomorrow i will have updates on how shes runs through 6300 or more rpm soon. Thx, sharing helps us all. Update on this thread, i just got done taking out the MSD unit that ive had installed for 2 or more years now, which by the way ran great when it ran. Installed part number 84-1832 and a BRAND NEW coil. Stated cranking the engine over and nothing, then tried again and it fires up. I instantly get a code 15-16 which i understand why cause i did not install the water pump and i did not install the crank pully( reason being i wanted to make sure this distributor worked properly before i got all that **** back on) and so now im sitting here with a code 16 low pulse, engine was running weird, not to bad on shaking but obveiously not right. This being said i am not sure what the hell to do, just put it all back together and hope the code goes away? Lol i am at my limit or getting there with this thing cause i love this car and i need it to run right, i have checked and fixed all wiring, the pcm, the wires to it, brand new coil, icm was tested at oriellies and it is good. Everything pointed to the opti and the one i took off and apart had corrosion and all kinds of problems. So im at a loss and i need everyones help and advice on what to do? Not sure if these distributors are ****, but honestly when i took it out of the box it felt very high quality and nice. Very well put together unit, just not sure why its throwing a code 16. Also it was the spline drive for a 1994 and i put it in right, there is only one way to put these in. Please help. Assuming no issue with the PCM, sounds like you have trouble with the opti wiring harness, the new opti, or maybe even both. I'd be probing the opti signals with a scope, but most people don't have one. Check and double check your plug wires to make sure they are connected to the opti right. They would not be the cause of the code 16, but still doesn't hurt to make sure they are right. Start at the 13 min mark. Verify if the proper voltage signals and continuity checks are okay at the end of the opti wiring harness. What was wrong with the MSD opti and how did you diagnose it? 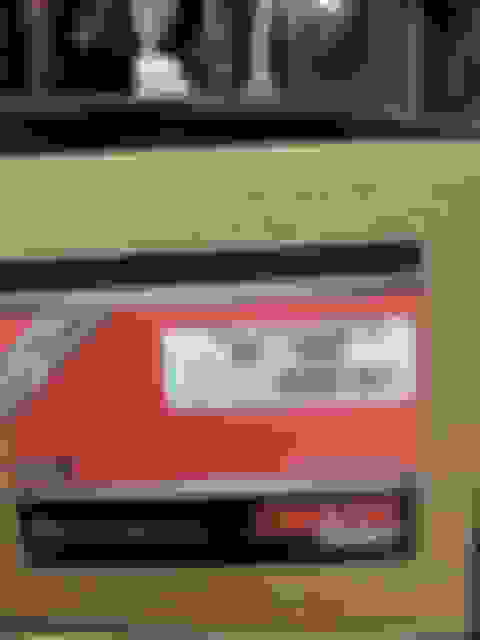 Last edited by ACE1252; 04-16-2019 at 09:32 PM. The msd was shutting off and off all over the place, and had no code. But i tested the coil, the icm, the computer, and checked all wiring, everything came back good, even repaired wiring that was damaged on other sensors to eliminate fake problems. When i tested the MSD for 1-4 volts AC it came back 0.7 constant. So i figured it was the opti, soon as i replaced it it was back in order and started up. Problem is this damn code, although i have heard and seen a low voltage (keep in mind i have nothing hooked up alternator ext and ive been cranking alot before the swap) cause a code 16, also i did forget to plug in the coolant temp sensor, both of those factors im guessing could be why it threw that code....but honestly it does not run like there is a miss just runs ....off......not like its a cylinder off though, and the code came up instantly ....the wires are new, i tested the connector once, but ill do it again in the morning. If it's showing DTC 16, and the engine is running, the code is stored, not active. You may have some sort of intermittent problem that is causing a delay in the low resolution signal reaching the PCM. And yes, you got DTC 15 because the CLT sensor was not plugged in. Are you absolutely sure you got the odd tooth on the Opti splined drive shaft indexed correctly to the splines in the cam sprocket? Wouldn’t set DTC 16, but would throw the ignition timing way off. Yeah this is my 4th opti ive put in (the last 3 on a diff 93 were ac delco or whatever stock is) Yeah it only goes it one way on the indexing, it slipped right in when i found out where it was located and alighned perfectly with the bolts. I had no codes at all before i installed this thing, the msd was all corroded really bad cause the dude that had it installed before me had the vent hole without a hose on it and the bottom had a hole to. Then when i pulled the MSD the shaft just fell right out, which tells me the bearing was shot. I have had a dead batter before and it did set a code 16. Do you think since i started it without the accessories on, this could be partial cause? I researched the OPTI even before mine was replaced. I’ve had no end of problems with MSD stuff for years on my other cars. Therefore I specified absolutely no MSD parts of any kind. In fact due to other parts issues, I specified strictly GM OEM stuff. I know you pay a premium price for them and there are problems with some of them too. However, I have to look at the fact that millions of these motors were made and had relatively long warranties. Aftermarket stuff is filled with problems. so I managed to get a brand new OPTI that was on the shelf in a smaller dealer. Also plug wires, spark plugs and fuel pump. The hardest part of the OBD 1 systems is just scanning the system. The free software offered above works fine. If you don’t have it you will be lost. Even the high dollar tool company scanners can have trouble reading the scans. As others have noted, throwing parts at these things just doesn’t get it. In my case there are no codes at all. My Buick only has 115 k on it so is in pretty good shape. As for dead battery, I left the interior lights on and it would not turn over. We jumped it with another battery and it started right up. Again no codes. I’ve had accessories on and off and it doesn’t seem to make any difference. I have the original owner manual and nothing is said about this. One thing that probably is not a good idea is to jump start with a battery charger. I had a problem with this in another car and it wiped out the ignition system. No explanation was given by tech support. I dont have facilities to work on my cars anymore so im at the shop mercy. I’m a pest however, and ask endless questions and won’t tollerate throwing parts and guessing games. 5 supposedly good shops told me I needed 2-3 k in transmission work and it turned out to be plug wires. post your findings....there are lots of us looking for help. I checked the voltage at the connector (which is new) and it reads 5 volts at both terminals, and the ground is good, the power wire read 10.5 volts because the batter is at the from excess cranking. I have been on the phone with cardone, summit. And they are all saying that it should not be throwing a code 16 at all. So im guessing this one is just a hunk of ****. But any other thoughts would be nice. Thanks. Quick Reply: Cheap good optispark?